From chandeliers to chairs to everyday items for the home, designer Brendan Ravenhill knows how to make them all. 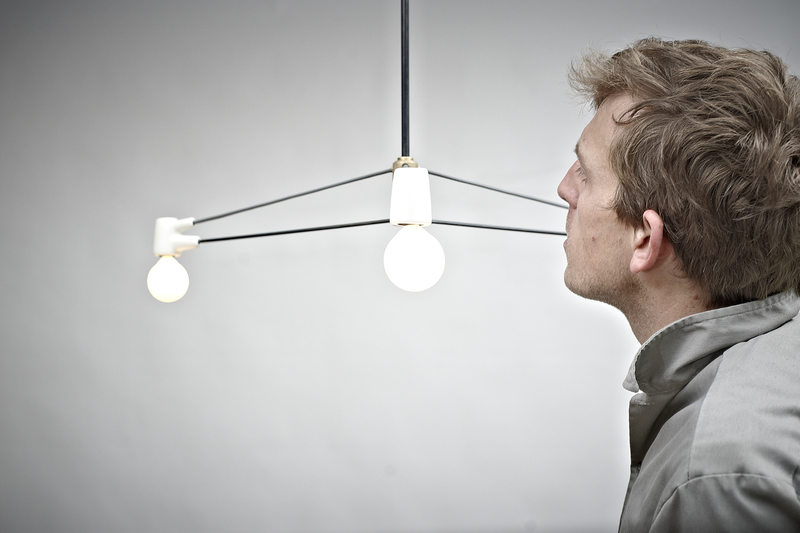 Brendan is a designer and expert craftsman who prides himself in making utilitarian, yet stunningly beautiful objects. At Poketo, we’re particularly obsessed with Brendan’s light fixtures. Often seen in the pages of Dwell Magazine, his design aesthetic is minimal, experimental, and timeless. His lights can turn any room into a piece of art. Be Brendan’s “apprentice” on Sunday, September 22 from 2 to 5pm, as he comes to the Poketo store to teach the Lighting Design Workshop! 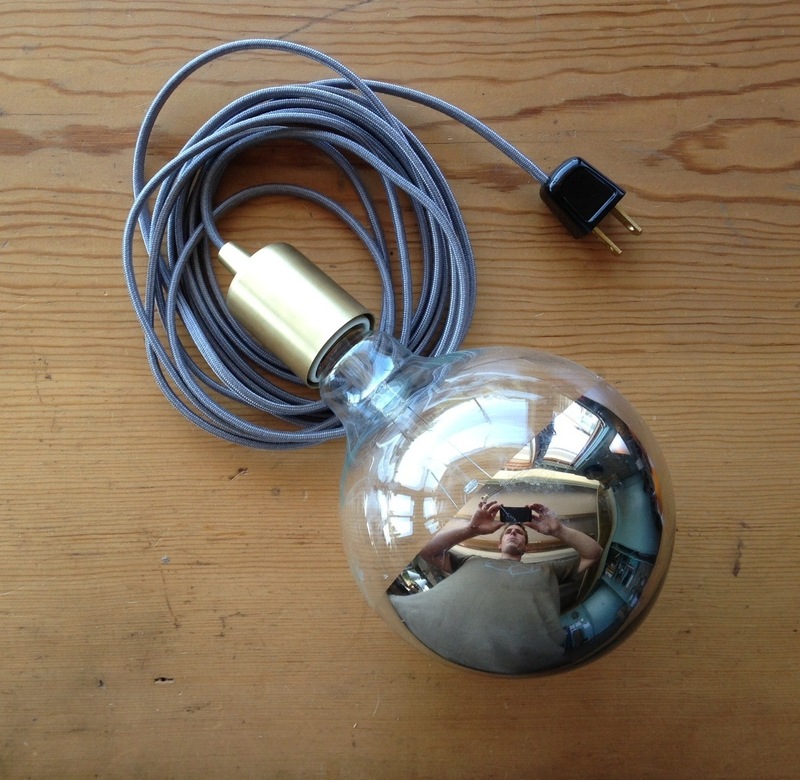 Learn how to wire and assemble a new Brass Pendant, including switches, plug and pendant. Brendan will also be introducing a new custom woven cord of his own design. Prepare to work side by side with the designer, and walk away from the class not only with the knowledge to create on your own, but also with a new light designed by Brendan. We had a chance to pick at Brendan’s brain to better understand his background and inspiration for his designs in furniture and lighting. 1. What was the first object that you ever designed and made? Probably a toy gun or toy boat. I grew up as a kid working in the shop with my dad, and I remember always loving the process of building physical things that I had imagined in my head. 2. Among everything that you have designed, what is your personal favorite and why? This changes all the time, but right now I love the Punt Bed I designed last winter. It’s my idea of what a perfect bed would be. 3. 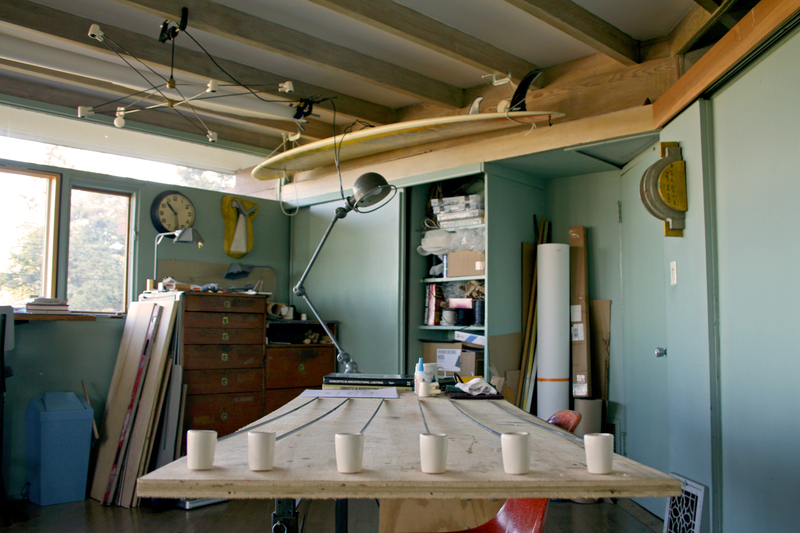 What does an average day in your workshop look like? I try to spend the first hour or so drawing of making models. The staff arrives soon afterwards around 9 and we make a plan for the day together. I then check email for an hour or two. By 10 or 11 I’m usually in the car heading to see one or more of my various local manufacturers to check in on parts and progress. After lunch I try and wrap up any outstanding email or paperwork so I can spend the remainder of my afternoon in the shop building things. 4. You’ve been working with wood for a very long time. How did you transition into working with electricity and lighting? My brother, sister and I with a bunch of friends built a timber frame barn in the summer fall of 2002 on some family property on an island off the coast of Maine. That fall I moved into it to live for the year as I went lobster fishing. On my days off from fishing I would work on the interior of the barn which included doing all the electrical wiring. That was the first time I familiarized myself with the basics of electricity, and got over my fear of electrocuting or setting things on fire. I made a bunch of lights for the barn that year, and continued making one-off lamps for my home after I moved to Brooklyn and then Providence. It wasn’t until I moved out to LA in 2010 that I began making my own series of self produced lighting. This grew out of need to furnish our new apartment and not being able to find anything on the market that I liked. 5. Who has been the most influential person in coming up with your designs? My wife. She is the first person I show my prototypes to. I greatly respect her eye and her opinions.